This roll-stitch snowflake is an original design and incorporates Irish clones knots between the branches. It was made in size 100 thread with a size 24 Tulip brand hook. I made this just to see if I could make the roll-stitch in this size thread, and have used it in my classes to show the skill the old lacemakers had. Size 100 thread is the smallest I’ve found. It worked! Each roll has 21 wraps. 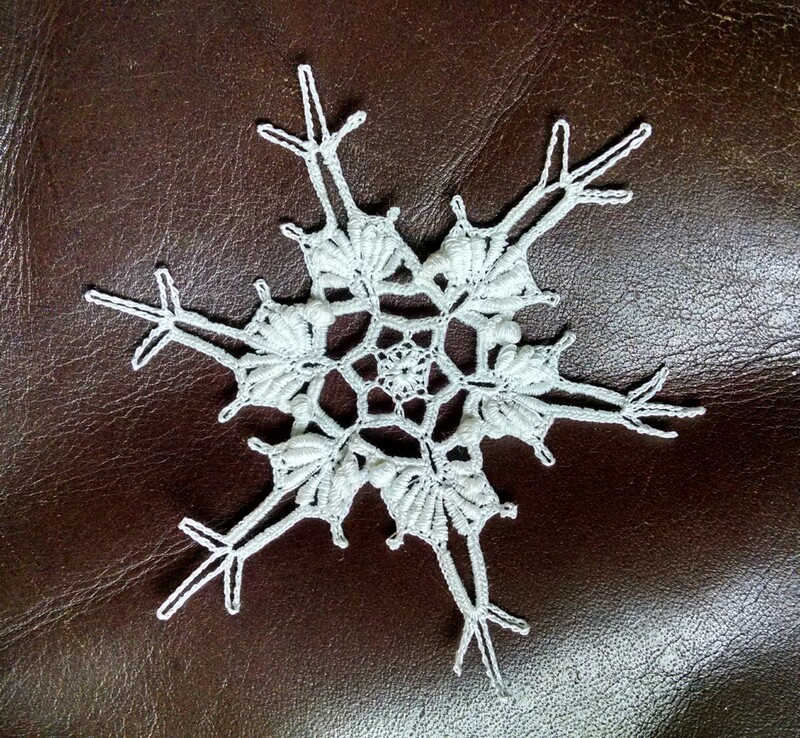 The finished snowflake is 3.5 inches across.